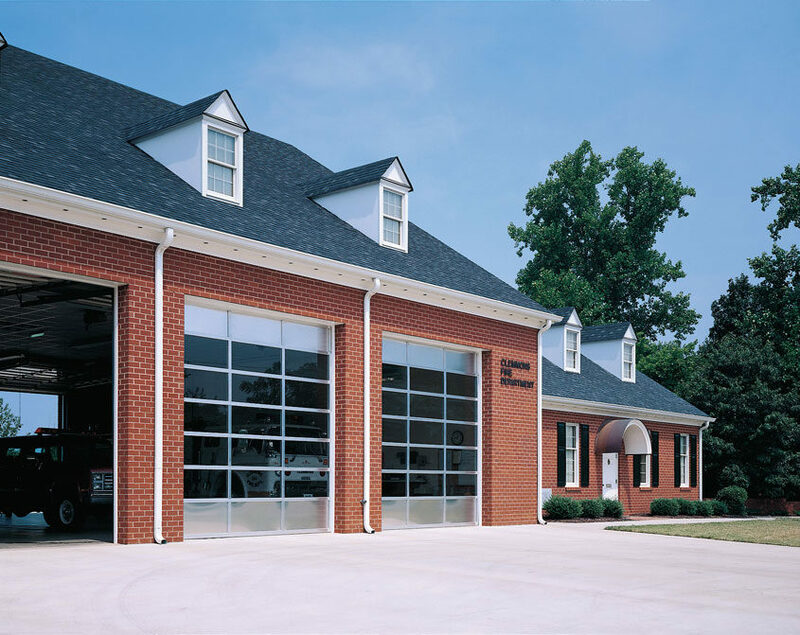 We offer the best in commercial garage doors from companies such as Janus, Amarr, and CHI. 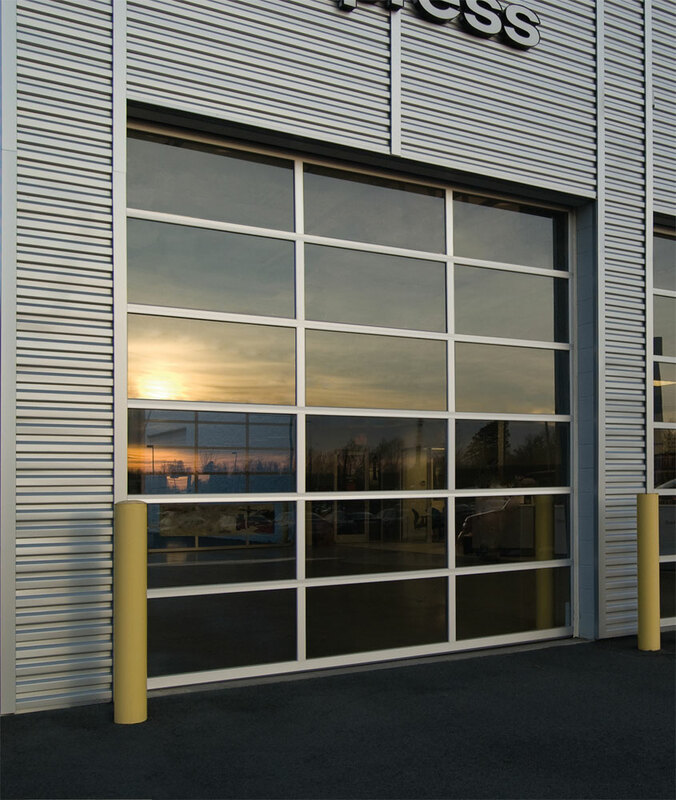 These doors are wind load rated and made to withstand tough conditions and extreme force. The vertical lift track allows for a quick efficient installation able to be completed by one person. Torsion springs are designed on these doors to balance out the weight of heavy duty steel doors, making them ideal for docks and loading stations. The ten year warranty covers any rusting, peeling, or decomposition of the paint on this product. 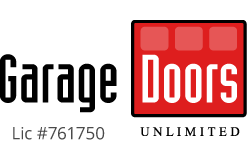 Do you need your door pre-painted? Clopay and Amarr have many colors like chocolate, sandstone, or snowmist, etc. 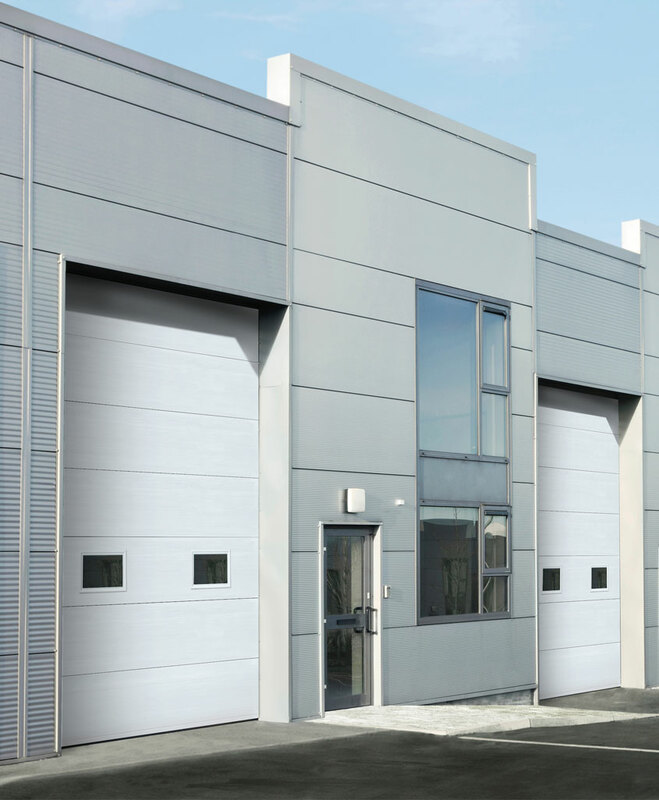 Your business deserves trusted quality and security and GDU has the best commercial doors on the market. 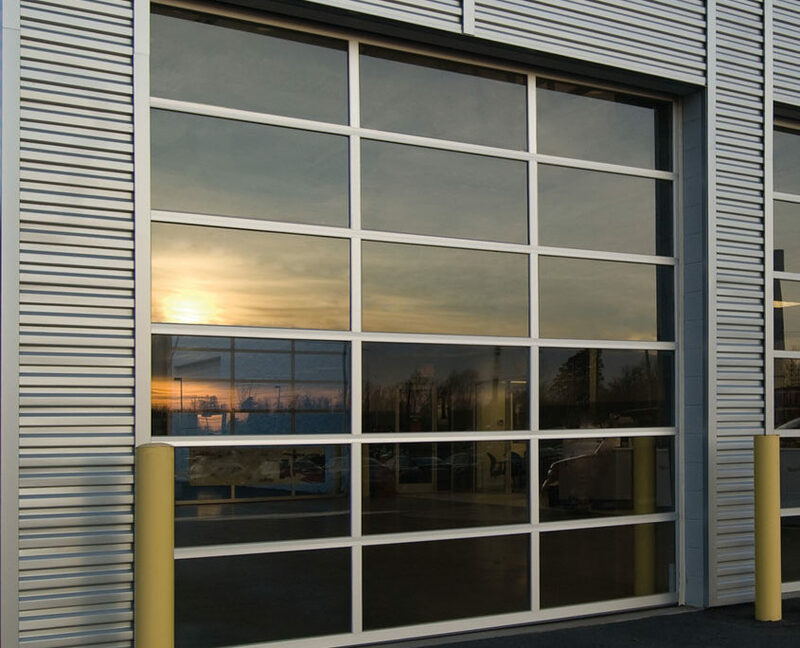 These sectional steel doors by our manufacturer, Amarr, have polyurethane insulation and heavy gauge steel that combine to make a very energy efficient product. The models shown below have a 10 year limited warranty that protects against rusting, scraping, or damage caused to the door’s paint. 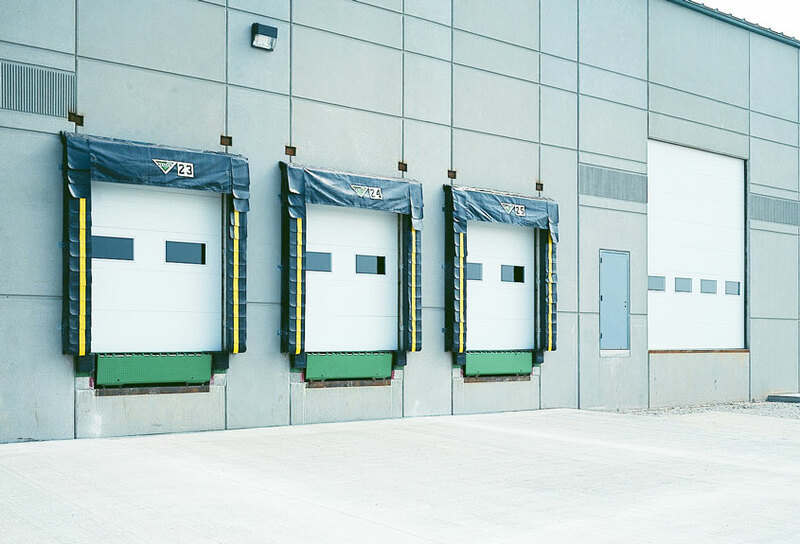 Commercial doors are ideal for loading docks, backrooms, and storage facilities that require easy in and out access while maintaining proper temperatures for warehouses and stores. 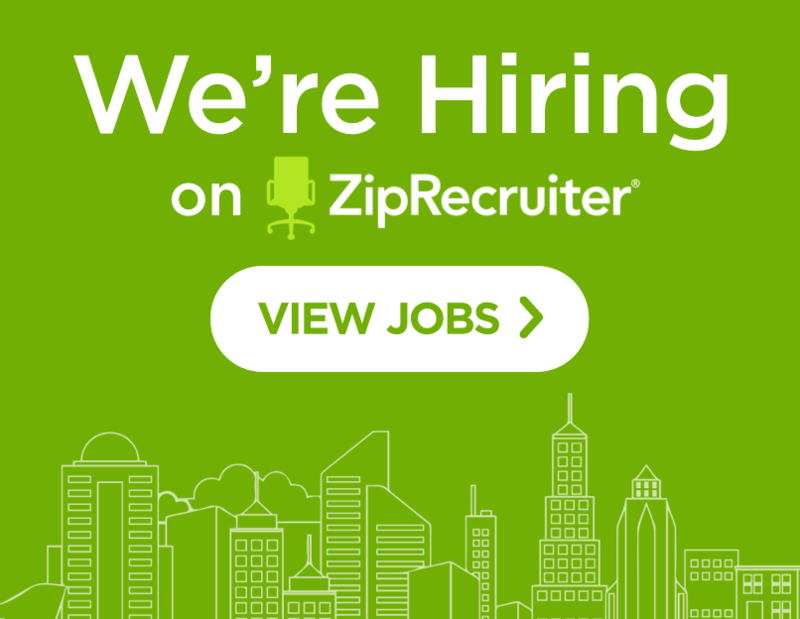 Schedule a free estimate with one of our sales personnel and we will give you an accurate quote with plenty of options to suit your current needs. 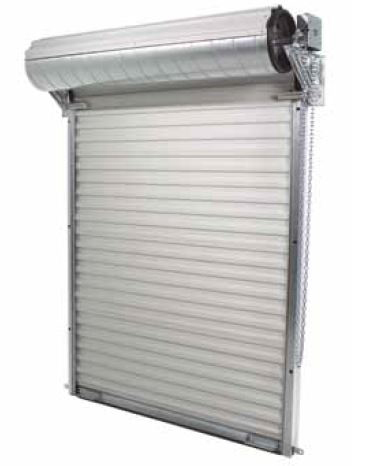 We also carry aluminum full view garage doors from Amarr and Janus that add a more elegant look to your commercial doors. These doors have glass panels with an aluminum frame that is sturdy and tough like their steel sectional door counterpart. A great addition for car garages, sports facilities, and car washes to display the atmosphere inside while adding natural light and reducing the need for extra electric light sources. 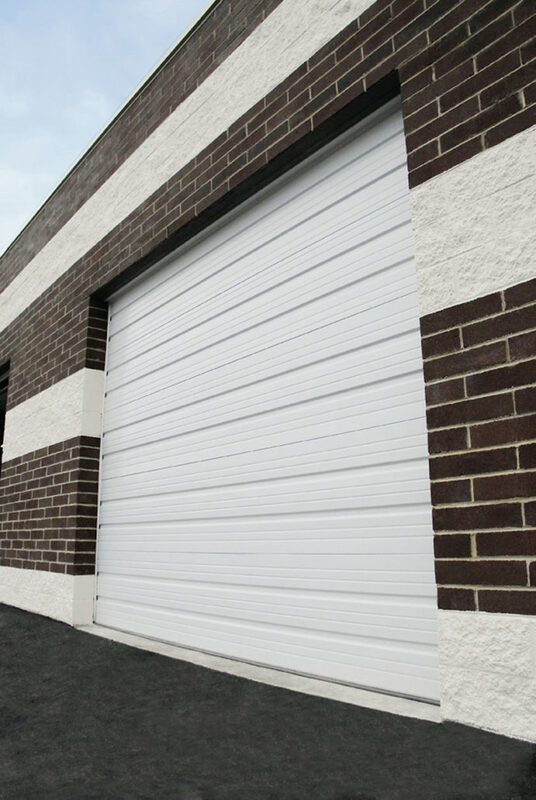 When it comes to a classic commercial door our manufacturer, Janus, makes the rolling sheet door which is one of the most dependable styles on the market. This 2,000 model is very affordable and is a great application to your warehouse or storage unit. The drums for this door are 12 inches in diameter and work well for spaces limited in headroom. This door has a sliding lock on the bottom that keeps the door in place and secure. Janus uses a polyethylene insulation that is combined with mylar film to produce long lasting, durable layers. This door contains an R-Value of 4.